Buying online has become such a normal thing for people but where should we buy from? 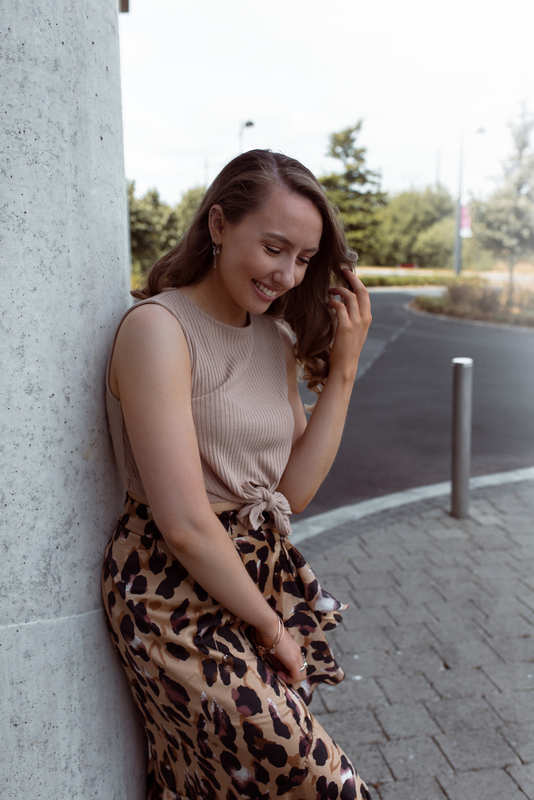 I love investing in pieces from Irish designers and boutiques simply because it’s important to support your own. Cari’s Closet started up back in 2012 by Lisa Duffy and has since grown in size and online following. Their pieces are unique and there to suit every shape and style. I am forever lusting over their beautiful gowns and cocktail dresses because of how elegant and dressy they are. Cari’s Closet work with some of the most high fashion and glamorous brands such as Jovani and MacDuggal. Each season they bring us something new, different and luxurious. T-shirt dresses have been around for quite awhile now. They’re a piece that never seems to fall too far from the hangers in my wardrobe. So when I saw this gorgeous t-shirt dress I simply couldn’t resist. I love the lace up detail in the front which brings quite an edginess to the look. Graphics on tops are a feature that I have always loved, frankly because I’m a nineties baby and that was a huge trend back then. Incorporating trends into our style is so important because we make these ‘trends’ our own. Cari’s Closest understand this and I adore this t-shirt dress for that reason. I’ve linked the full outfit details below and along with Cari’s Closet social media account which are well worth checking out.